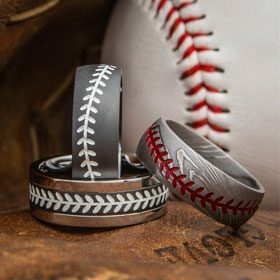 Welcome to the next big thing in men's wedding rings that feature a ton of custom options to make your ring that much different from the next. 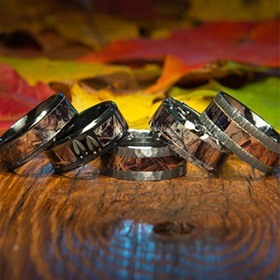 We have released a variety of amazing rings that prove to be different and exciting. Cerakote is a thin film ceramic style coating that really can stand up to the test of time. Over the years we have tested and tried out a variety of color styles and this is by far the best on the market for durability. If you want to add any of these colors to another ring on our site we can do that for you as well for a small charge! Our Cerakote rings come in a huge variety of colors and you can mix/match them! 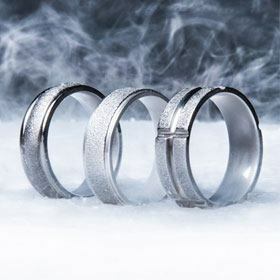 Cerakote wedding rings are just what is needed in the industry right now as people continue to want unique items that tell a story. With adding color to the inside of your ring or having a background color with some style gives your wedding ring that next level feel. Just like our other rings you can customize these to your liking and contact us for further info if you want to change something up a bit. 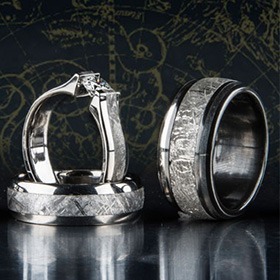 Take a look at unique design of other men’s wedding rings available.